Clients of Terry Anzur Coaching Services benefit from the insights of an educator and broadcaster with major market and national on-air experience. She is the co-author of Power Performance: Multimedia Storytelling for Journalism and Public Relations. 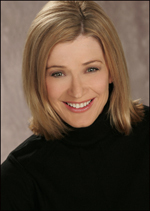 In Los Angeles, Terry co-anchored “KTLA News at Ten” from 1997 to 2000, winning a Golden Mike award from the Southern California Radio-Television News Association for Best Prime Time Newscast. 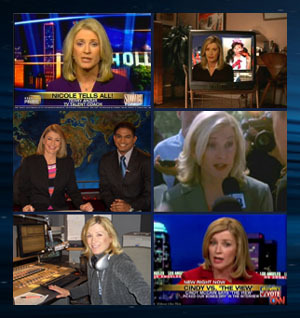 Her hands-on approach to anchoring also contributed to a Golden Mike and Associated Press awards for Best News Writing. From 2001 to 2006 she was a weeknight anchor on WPEC-TV, the CBS affiliate in West Palm Beach, winning an Emmy for breaking news coverage, an AP award for public affairs reporting and national commendations from the Genesis Awards for investigative reporting. You can now hear Terry anchoring weekend morning newscasts on KFI-AM 640, the most listened-to talk radio station in America! She has experience in talk radio and voiceover, including documentaries on Lifetime’s “Intimate Portrait” and “Good Housekeeping Reports.” She was the announcer voice of The Hollywood Reporter’s Top 100 Power Women event. She is available for freelance journalism assignments, event announcing and voiceover work. Terry is married to business executive Bill Clement. They live in the Los Angeles area with their son, Andrew, a student in international business at the University of Southern California. She is an accomplished ballet dancer with certificates from the Royal Academy of Dancing, London. She is also a certified scuba diver and certified group exercise instructor. She has played the role of newscaster in popular films including “The Perfect Storm,” “Wag the Dog,” and on DVD features for the “X-Men” films. She has appeared in TV movies and series, including “Pushing Daisies,” HBO’s “John from Cincinnati,” and a recurring role on NBC’s “Providence,” and has authored a screenplay based on the first live TV coverage of a breaking news event, the 1949 attempt to rescue three-year old Kathy Fiscus.